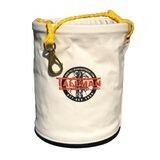 12" x 15" CANVAS TOOL BUCKET WITH MOLDED RUBBER BOTTOM | Tallman Equipment Co., Inc. 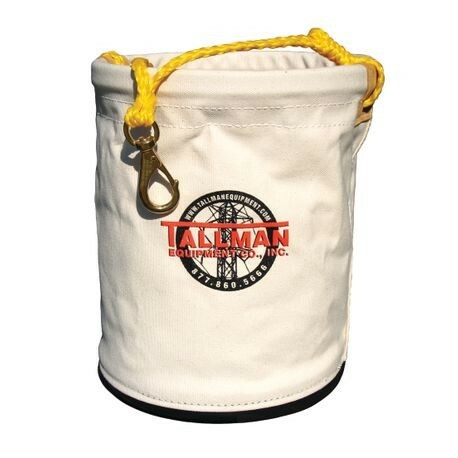 Heavy duty canvas tool bucket with a PVC ring in top, 1 inside pocket and a polypropylene rope handle with swivel snap. Features a molded rubber bottom.